This is a foreign exchange guide to Denmark, the Danish Krone currency plus DKK transfers and travel tips. Denmark is a beautiful, clean, and fascinating country. Denmark has a long history dating back to the vikings, and the cities here are beautiful with their medieval charm. While Denmark's cities can be expensive try to visit the countryside which is gorgeous and less pricey. Denmarks landscape is beautiful, it’s clean, eco-friendly, still has a medieval Viking charm to it, and the locals love to have a good time (Danes frequently stay out until dawn). So long as you don’t get in the wrong bike lane, they are very welcoming to tourists. Denmark gets it right: old-fashioned charm embraces the most avowedly forward-looking design and social developments. The country wins a regular place on lists of both the most liveable and the happiest nations on earth. You won’t have to search hard to find much-prized hygge, a uniquely Danish trait that has a profound influence on the locals’ inestimable happiness. Hygge is social nirvana in Denmark: a sense of cosiness, camaraderie and contentment. Copenhagen, the capital of Denmark. What currency to use in Denmark? Although Denmark is a member of the European Union, the Danes rejected the euro as their form of currency. They continue to use the krone (crown), which breaks down into 100 øre. The plural is kroner. The international monetary designation for the Danish kroner is "DKK." ATMs are plentiful and credit cards are accepted in most places. In Denmark, the most commonly accepted credit cards are MasterCard and Visa. Of secondary importance are American Express and Diners Club. How to get around in Denmark? Denmark’s small size and efficient train network mean that domestic air traffic is limited, usually to business travellers and people connecting from international flights through Copenhagen, from where there are frequent services to a few of the more distant corners of the country. Internal flights are usually of no more than 30 minutes' duration. Train travel across Denmark (Jutland to Copenhagen) costs around 445 DKK. Buses start around 308 DDK. The closer you get to the travel date the higher the cost. The train from the airport to Copenhagen center is 40 DDK. Local trains and buses are around 30 DDK for a two-zone ticket. The Danish rail system offers cheap tickets via their online website called “Orange tickets.” They are only available online, and you have to print out the ticket before you board the train. These tickets though are a third of the cost of what you can buy at the railway station. Booking train and bus tickets a month in advance can save you up to 50%. 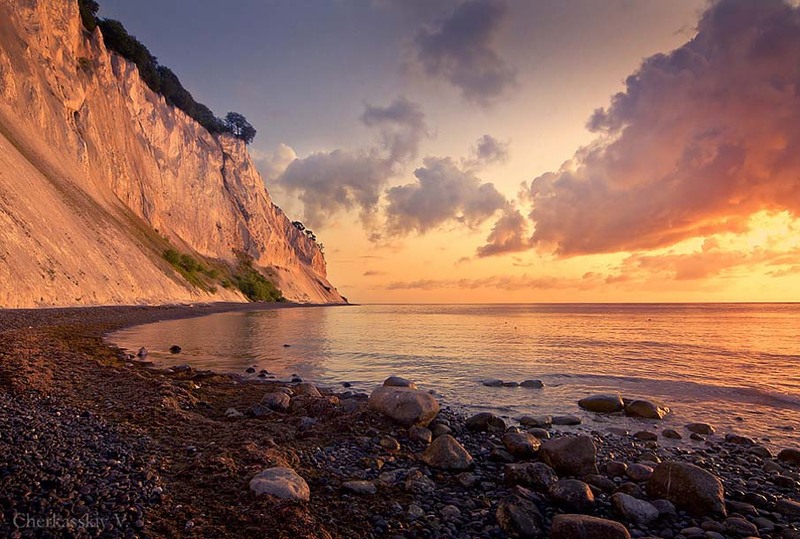 Denmark is known for its fairytale like landscapes. Long-distance buses run a distant second to trains. Still, some cross-country bus routes work out to about 25% cheaper than trains. Nearly every town in Denmark supports a network of local buses, which circulate around the town centre and also connect it with outlying areas. In smaller towns, the local bus terminal is often adjacent to the train station and/or long-distance bus terminal. Denmark is the most cycle-friendly country in the EU and cyclists are well catered for with excellent cycling routes throughout the country. It’s easy to travel with a bike anywhere in Denmark, even when you’re not riding it, as bicycles can be taken on ferries and trains for a modest fee. Denmark is an excellent destination for a driving holiday. Roads are high quality and usually well signposted. Except during rush hour, traffic is quite light, even in major cities. One thing to be aware of is the large number of cyclists – they often have the right of way. It is particularly important that you check cycle lanes before turning right. Is the Euro accepted in Denmark? Denmark does not currently use the euro as its currency and has no plans to replace the krona in the near future. This is the same situation in all the Scandinavian countries - Norway, Sweden and Iceland. You may find some shops that will accept the Euro but watch out for the EUR/DKK exchange rates they offer. Many tourists only spend a few days in Copenhagen before high costs force them to move on. 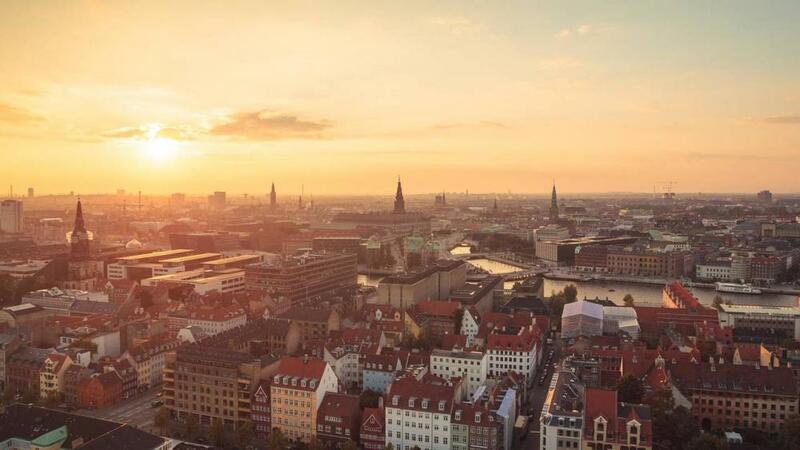 However, Copenhagen, the capital of Denmark, is beautiful, the architecture is amazing, there is a great nightlife, and the locals are friendly. It’s also the largest city in Denmark. Eating out in Denmark is not cheap, and since Denmark is known more for its views than its cuisine, you won't miss much by cooking your own food. There are plenty of streets stalls selling sausages and hot dogs etc, that are more on the budget side. However, though the country more expensive than, the countryside (especially Jutland), with its rolling hills, lakes, and jagged coastline are worth extending your stay just a little longer. Like their Scandinavian counterparts, Danes love the outdoors. There are plenty of hiking trails all throughout the country, many of which are interconnected. Whether you want a short day hike from the city or something more challenging, Denmark has it all. Roskilde was Denmark’s capital from 960 to 1536. This is an amazing city to view the country’s history, whether it be at the various churches, brick building lined streets, or the Viking-influenced museums. Denmark in summer is popular with beach goers due to its extensive coastline. When searching around for information on how to get a good exchange rate when sending money to Denmark you need to start with finding out the latest Danish Krone foreign-transfer exchange rate. Once your funds are received by the provider the converted DKK amount will be transfered to the recipient account you specify in Denmark.